By the early 1980s, aviation had become an expensive hobby for anyone who could not justify the ownership of a certified aircraft. A large number of pilots had become disenfranchised through the limited availability of a cost effective, “fun-to-fly” and “practical-to-own” airplane. The kit aircraft was conceived as an alternative to high-hour, used aircraft, “plans-built” airplanes, which were impractical for all but a small percentage of would-be builders, and restorations, which were limited in availability and often required as much work and specialized skills as building from plans. 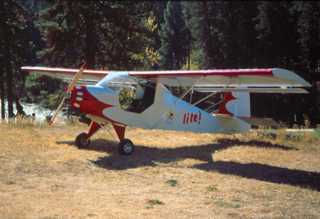 Denney Aerocraft produced the first Kitfox kit in November of 1984 in a small factory in Boise, Idaho. The Kitfox was designed as a lightweight, two-place sport aircraft with excellent STOL (Short Takeoff and Landing) performance and the ability to operate from short and unimproved airfields. The Kitfox features folding wings and is easily trailered, allowing owners to share hangar space or keep their Kitfox's at home in a single car garage. Six Model 1 Kitfox's were delivered that first year. Since 1984, over 4,000 Kitfox kits have been delivered to builders throughout the United States, Canada, and over 42 foreign countries. 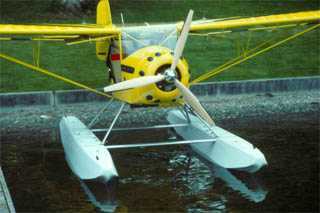 Under Dan Denney’s leadership, the Kitfox evolved from the original Model 1 to continually improved versions referred to as the Models 2, 3, 4, and Classic 4. In June 1992, SkyStar Aircraft Corporation, under the direction of Phil Reed, purchased the rights to produce the Kitfox kit from Denney Aerocraft. SkyStar immediately began development of a completely new Kitfox, the Series 5. 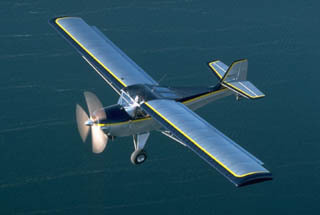 This larger aircraft was designed to fit the needs of a growing segment of the marketplace that wanted a “Weekend Cruiser.” These pilots wanted a recreational airplane that combined the best attributes of the Kitfox with greater useful loads, certified engines, increased cabin space, and larger cargo capacity. The Series 5, which offered both a Taildragger (the Outback/Safari) and tri-gear (the Vixen/Voyager) configuration, answered these requests and became one of the most successful introductions in the history of the kit plane industry. In January of 2000, an employee group acquired SkyStar Aircraft, and an exciting new chapter began for the SkyStar team. SkyStar announced the new Kitfox Series 6, an airplane that incorporated all of the best features of all versions of the Series 5. The Series 5 evolved into the Series 6, and now the new Series 7. 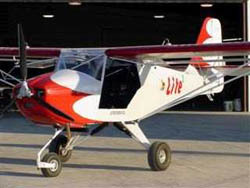 In 2000, SkyStar introduced the Kitfox Lite Squared as a two-place companion to the single-place Kitfox Lite. The Lite Squared was a reconfigured version of the Kitfox Classic 4, and rapidly gained popularity in the ultralight community. The Lite Squared also seemed to be the “poster child” for the newly proposed Sport Pilot regulations, but time changed that viewpoint. The Kitfox Series 7 was finally selected as SkyStar's entrant into the Sport Plane market. With the implementation of Sport Pilot regulations, the ultralight trainer category of airplane was eliminated, resulting in the discontinuation of the Lite Squared version of the Classic 4. 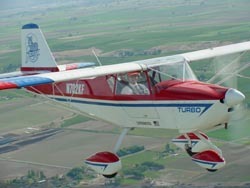 In 2002, SkyStar introduced the new, high performance, Kitfox Series 7, and the image of the Kitfox was forever changed. With cruise speeds of up to 160 mph, and a service ceiling above 25,000 feet, it became clear that the Kitfox could no longer be classified as a “low and slow” airplane. It soon became evident that the Series 7 was better adapted to the Sport Plane regulation than was the Lite Squared. 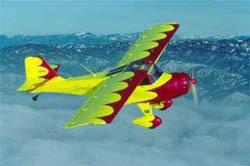 A short-lived “Sport Plane” version of the Series 7 was introduced to address the EAA and FAA publicity surrounding Sport Plane. As understanding of the proposed Sport Plane rule matured, however, it became clear that the specially packaged version of the Kitfox Series 7, known as the Kitfox Sport, would not be needed, and all Sport Pilots would be delighted to learn that all three Kitfox airframes now in production (Lite, Classic 4, and Series 7) meet the Sport Plane definition. In General Aviation, the Kitfox has become synonymous with quality, value, and performance. As a pioneer of the kit industry, the Kitfox has set standards for kit quality and completeness, technical documentation, and builder support that are second to none. After 20 years of manufacturing the Kitfox, and worldwide deliveries into 42+ countries, we continue to refine one of the best aircraft kits in the marketplace. After diversifying into ultralight and ultralight training worlds, and leading the pack for the upcoming Sport Pilot world; now, stand by for speed! Average empty weight 426 lbs. Average useful load 424 lbs. Length (wings folded) 21 ft.
Width (wings folded) 7 ft. 10 in. Average useful load 524 lbs. Length (wings folded) 21 ft. 1 in. The Kitfox Model 3 featured structural changes that were designed to improve flight characteristics and provide a better platform for more powerful engines like the new 80 HP Rotax 912. A larger vertical stabilizer and rudder were added, as well as larger, stronger lift struts and spar carry through tubes in the fuselage. The gross weight was increased to 1050 pounds, but the empty weight only went up by a few pounds. This was the last Kitfox to use the original airfoil and flight control system introduced on the Model 1. Average empty weight 460 lbs. Average useful load 590 lbs. Introduced at Oshkosh in 1991, the Kitfox Model 4 was a completely new aircraft featuring innovations that enhanced the STOL abilities, improved flight handling and stability, and increased top speed by 10 to 15%. The Model 4 featured a new higher speed, laminar flow airfoil, new flaperon design, metal flaperon attach brackets, and a brand new 2:1 differential aileron control system that allows much improved control at full flaps. 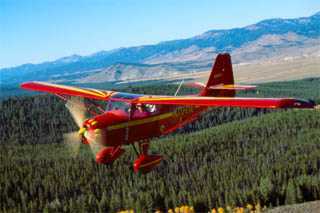 The gross weight of the Kitfox Model 4-1050 was the same as the Model 3, 1,050 pounds. The Model 4 is an ideal platform for the Rotax 912 series of engines but is equally suitable for two-stroke engines. The Kitfox Model 4-1200, currently marketed under the name of the Kitfox Classic 4, is the final evolution of the original Denney Aerocraft Kitfox design that began in 1984. One of the most successful kits on the market today, the Classic 4 kit has been sold continuously since late 1991. The Classic 4 has heavier lift struts and gear legs, as well as beefed up carry through tubes in the fuselage, to allow for a higher gross weight than the earlier Model 4 kits. The height of the vertical stabilizer and rudder was increased by 10 inches, and the rudder depth was increased by 2 inches to allow for improved handling. The Classic 4 is also available in a short wing Speedster configuration for those wishing more speed and a higher roll rate. In 1994, a light weight version of the Classic 4 was introduced with a Rotax 503 as the standard power plant. This airplane, known as the Kitfox XL, qualified as an ultralight trainer, but did not gain market popularity. 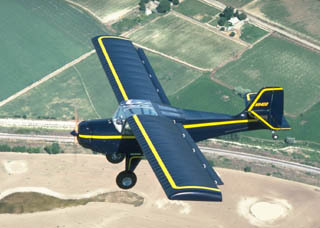 In 2001, an upgraded version of the Kitfox XL was introduced as the Kitfox Lite Squared and met with instantaneous market success. The Kitfox Classic 4 remains suitable for both the two-stroke and four-stroke Rotax 912 engine series. Many other engines have been adapted to the Kitfox Classic 4. Not only is the Kitfox Model 4 (Classic 4, Speedster, Lite Squared) the final evolution of the original Denney Aerocraft concept in terms of structure and engineering, but it is the best flying of all the previous versions. The vertical surfaces were increased significantly, resulting in excellent, positive, yaw stability. The Speedster version of the Model 4 added aerodynamic enhancements to the empennage, including an electric trim tab. Speedster modifications can be used on any Model 4 variant. Handling is smooth and crisp. While rudder coordination is needed, it is much closer to what most pilots encounter in today’s modern training airplanes. Although first appearing at Sun ‘n Fun in 1998, full kits were not delivered until late 1998 as time was taken to perfect SkyStar's first true ultralight airplane. The new Kitfox Lite is a true ultralight and fully complies with FAR 103 standards. The Kitfox heritage is clearly evident in the Kitfox Lite; it is easy to build and fun to fly. The Lite has standard 3-axis controls, highly effective flaperons and classic styling. The Lite has a useful load of up to 300 pounds and can accommodate a BRS parachute system. With a rate of climb of 700 fpm, a cruise speed of 55 mph and two-hour endurance, the Lite offers outstanding flying fun. Build time is less than 200 hours. SkyStar’s new management team introduced the Kitfox Series 6 in 2000 as the latest refinement of the Kitfox line of aircraft. The multiple versions of the Series 5 Kitfox were all rolled into a single airplane that possessed the most versatile features of all the Kitfox's. The Kitfox Series 6 has a useful load of up to 800 pounds and a range of over 700 miles, coupled with cruising speeds of over 120 mph. The factory’s Series 6 actually averaged 137 mph in the Sun ‘n Fun 100 Air Race in 2001, and that was with two folks on board, a bunch of cameras and crew meals! The Series 6 could be configured as either a tri-gear or tailwheel airplane, and can be converted to either version after assembly is completed. Assembly times were significantly reduced, and the Series 6 accommodates more engine types than any other Kitfox. The look, feel and flight characteristics of the Kitfox Series 6 are like those of the most sophisticated, certified airplane, but none of the Kitfox adventure has been sacrificed. The popularity of the Kitfox Lite led to the demand for a two place, ultralight trainer with flight characteristics that are similar to SkyStar’s popular single place ultralight. A proven version of the Kitfox Classic 4 was packaged to meet this demand, resulting in the very FastBuild, Rotax 503 powered Kitfox Lite Squared. This well-proven design flies like the Lite, its single place counterpart, and offered the ability to upgrade to a variety of larger engines. SkyStar picked up on the success of the convertible Series 6, and equipped the Kitfox Lite Squared with a convertible landing gear system. It can be assembled as a tri-gear or tailwheel airplane and then changed at a later date. The Kitfox Lite Squared was sold as a very cost effective package, and can be operated as an ultralight, experimental or Sport Plane. The Kitfox Series 7 introduces a variety of both major and subtle changes in the Kitfox history of ongoing product development. Most noteworthy is a variety of engine system enhancements that have resulted in an airplane that can cruise at over 150 mph, fly 700 miles non-stop, and heft a useful load of 700 pounds. Through use of the remarkable Rotax 914, turbo-charged engine, the Kitfox Series 7 has a service ceiling of 25,000 feet, meaning it can operate from any public use airport in the United States, without concern over runway length, field elevation or air temperature. Flight control improvements have lowered the landing speed and reduced aileron induced yaw. The larger elevator and new manual trim system strengthen pitch authority and stability. The entire Rotax engine installation has been greatly simplified, resulting in a significant reduction in assembly time. This new installation also results in much improved windshield weatherproofing. 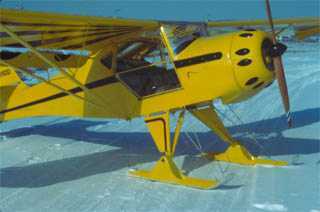 Like the Kitfox Series 6, which has been replaced by the Series 7, convertible landing gear, folding wings, and many custom features are standard. The Kitfox Sport package has been discontinued, but lives on as the Kitfox Series 7. 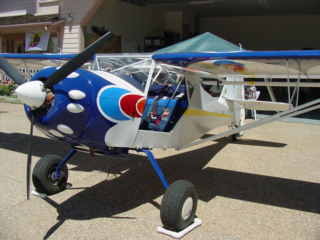 The Kitfox Sport was a specially packaged version of the Kitfox Series 7 that was introduced into the marketplace to coincide with initial Sport Plane publicity distributed By the FAA and EAA. As time has passed, it has become clear that is not necessary to have this special package dedicated to the Sport Plane, as the standard Kitfox Series 7 meets all Sport Plane criteria.